Not knowing what to call this routine, I think that it is more of a combination of an advanced Offset command that automates the placement of the vertices at the (M2P) Mid-Between-2-Points. 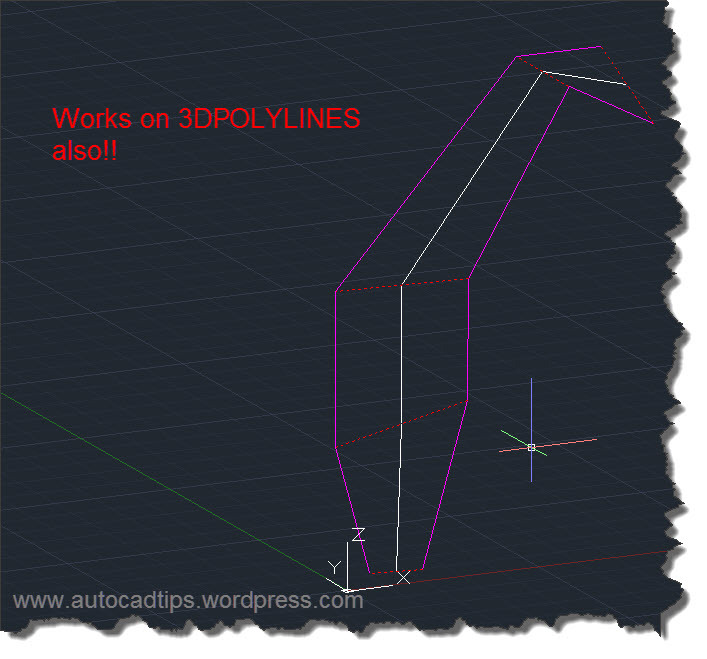 If you need an offset that is between 2 polylines and the 2 polylines are not truly parallel to each other, the result of the polyline might not be the desired result. As an added bonus, the routine handles polylines that are at different elevations (z values) and it even handles 3DPolylines pretty well. 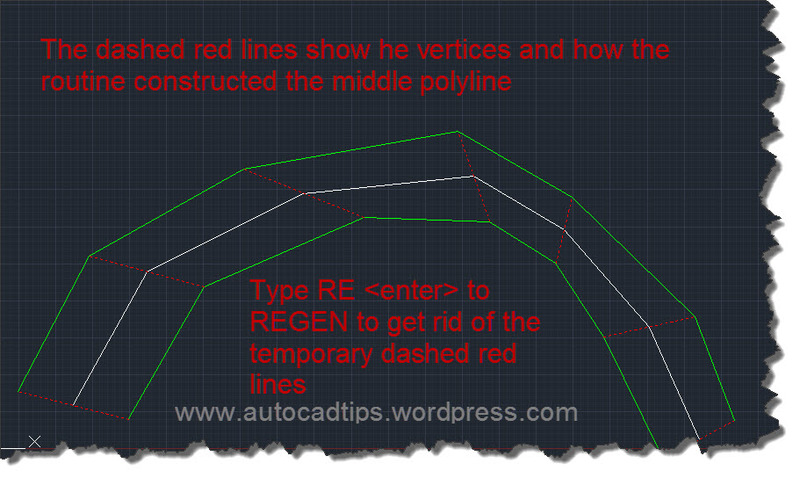 ;; Draw (LW)Polyline between two selected curves (at midpoint of vertices). (setq *LBL:Opt* (cond ((getkword (strcat "\nSpecify line to draw: [Lwpolyline/Polyline] <"
Does it work on polylines with different number of points? Thanks for the compliment. I find your blog inspiring. Blending art and architecture and especially landscape architecture which I think is some of the hardest architecture to pull off and make it really stand out. You guys do a great job.